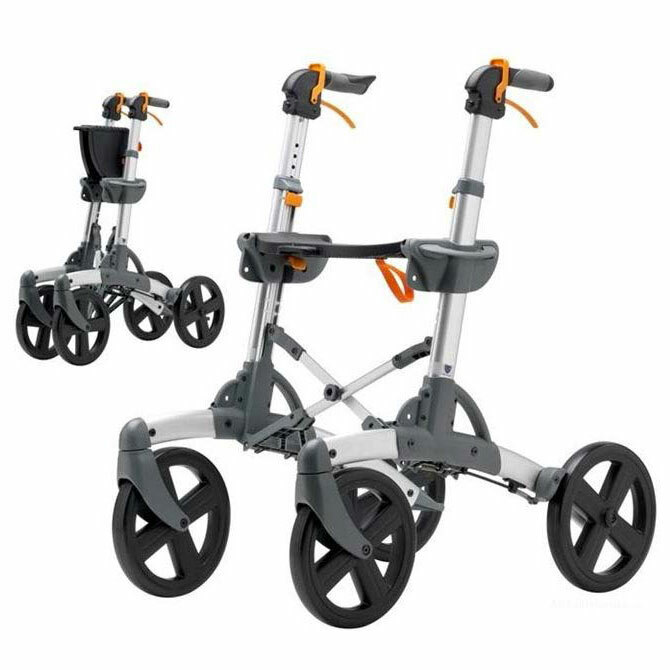 I came across the Volaris rollator walker this week as was impressed by the simplicity and multitude of options, features and models available. 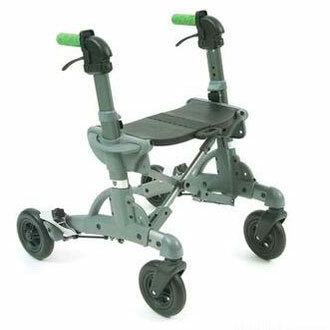 In my opinion this is a high quality rollator walker that offers many features and options not found on other products. 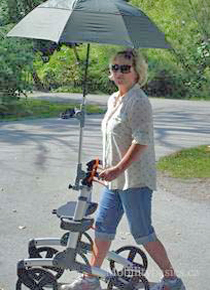 The Volaris walkers are manufactured in Sweden and distributed in North America by X-L-ENT Care Products Inc from their locations in Niagara Falls, NY and Milton, Ontario. Five models of the Volaris are available. 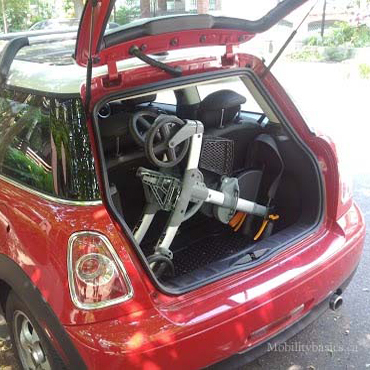 All models feature a strong, yet lightweight extruded aluminum frame which is flexible to compensate for bumps and varied ground, keeping all four wheels in contact with the surface. 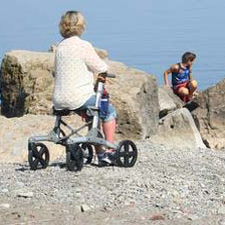 Standard - The Standard Volaris is the base model and is suitable in size and design for the average walker user to use indoors and out. SMART - The SMART model is an upgrade from the standard model that has its brake cables concealed within the frame to protect them from damage and getting caught on things. SMART Compact - The compact model is a narrow model that has 5.9" wheels and is most suitable for tight areas and solid terrains. SMART Patrol - This is the all terrain model of the Volaris with large softer 10" wheels that will roll easily over rougher terrains than hard 8" wheels normally found on rollators. 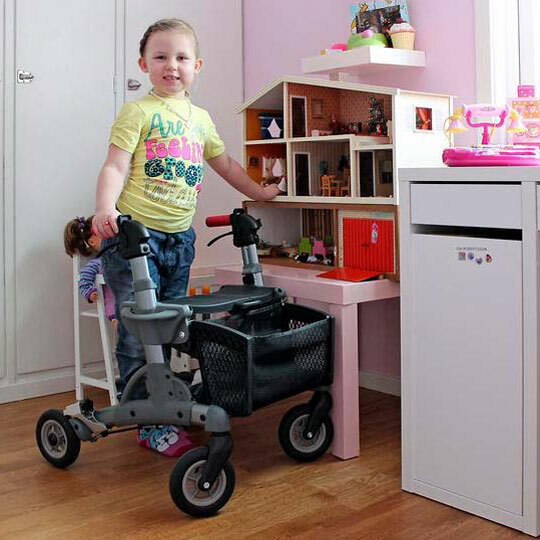 SMART Kids - Light and flexible indoor rollator with functions to meet the kids special demand. 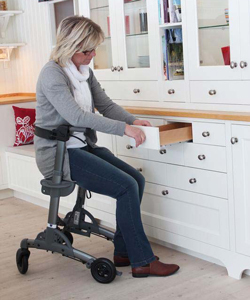 Its 50mm narrower and 100mm shorter frame and smaller wheels makes it easy to maneuver in small places. Below is a list of the man options available for the Volaris rollator walkers. Lights Package - Little LED lights so user can be seen in the dark. The SMART, SMART Shadow and SMART Patrol are also available in low, wide and low/wide versions while the SMART Compact is avalable in a low version. Dimensions will vary for low (weight, handle height, seat height), wide (weight, width, seat width) and low/wide (weight, handle height, seat height, width, seat width) versions of the Volaris Rollators. Your Volaris S7 SMART has a two-year guarantee. The guarantee does not cover wearing parts such as handles, cables and wheels. 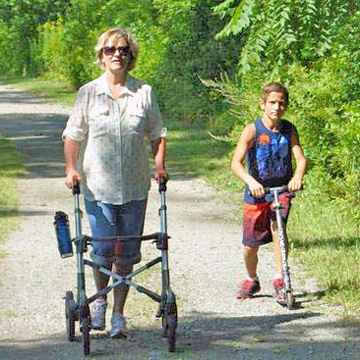 It is also not valid if the rollator is subjected to abnormal use or is especially adapted without our participation. The Volaris Smart is approved for funding in Ontario by the Assistive Devices Program. Pricing and terms of sale are specified by the Assistive Devices Program for those who access it. Contact the distributor for details and availablity in your area.